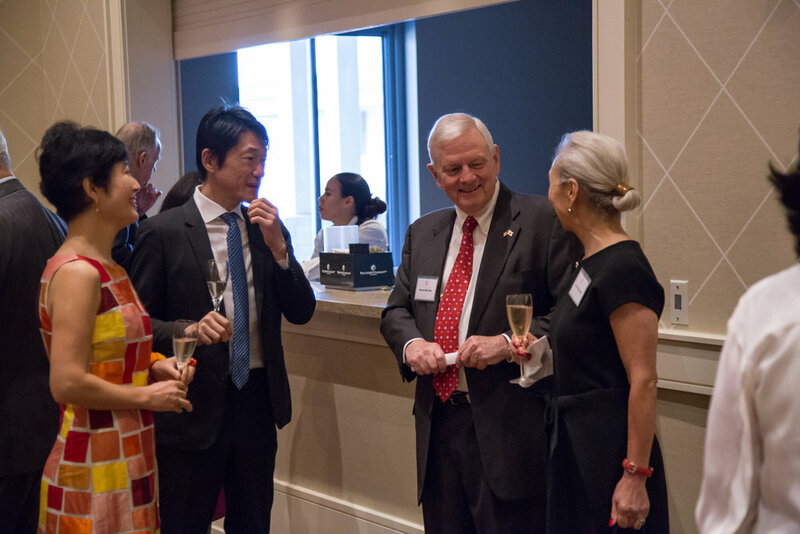 On July 24, Japan-America Society of Houston Board of Directors and Benefactors had the honor of welcoming to Houston the new Consul-General of Japan in Houston Hideo Fukushima, Mrs. Kaori Fukushima and Miss Mika Fukushima. 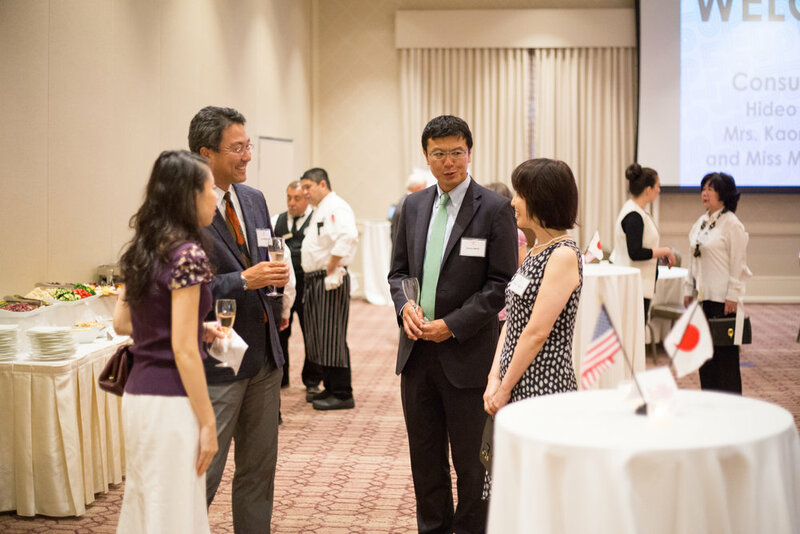 At a reception held at The Briar Club, Consul-General Fukushima greeted guests and shared his firm belief in the importance of promoting understanding of Japan in America as the key to further strengthening the U.S.-Japan alliance. 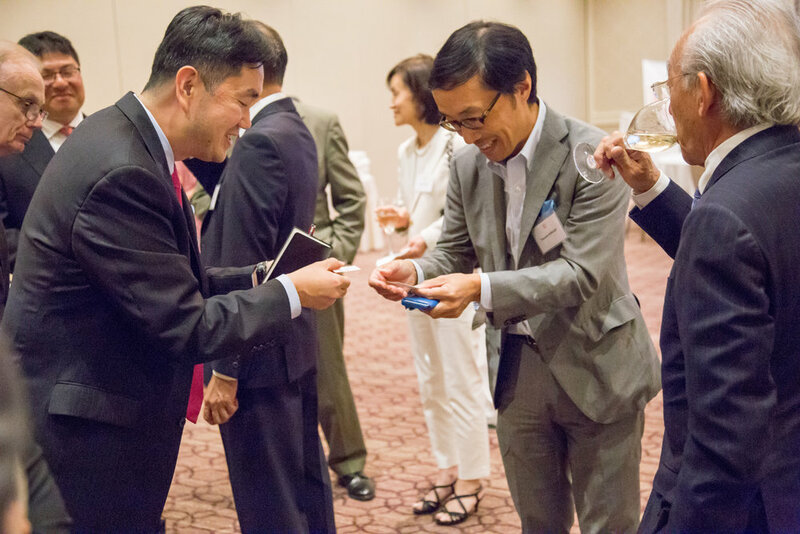 JASH looks forward to working with Consul-General Fukushima to foster friendship at the grassroots level. 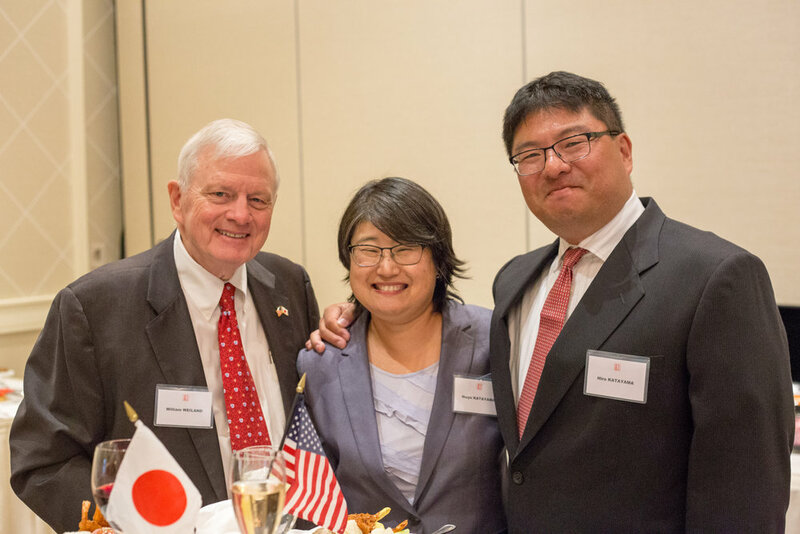 Learn more about Consul-General Fukushima below. 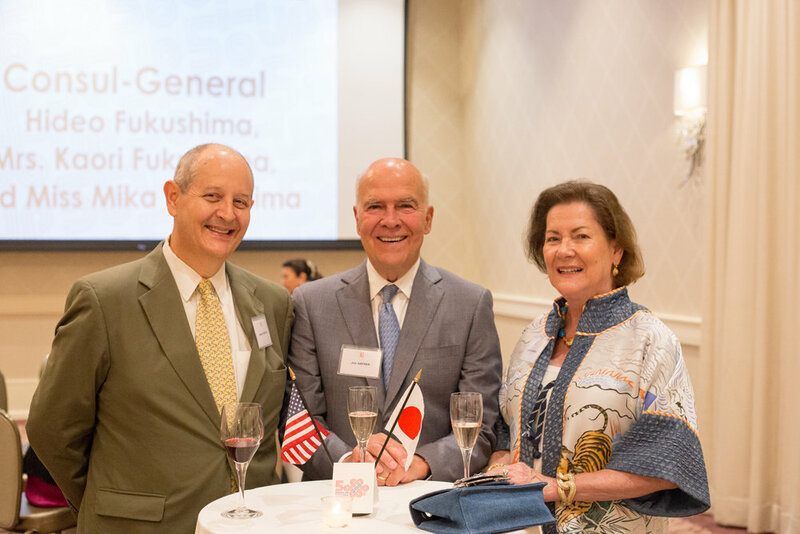 Consul-General Hideo Fukushima and his family arrived in Texas from Thailand, where Fukushima-san served as Minister, Deputy Chief of Mission, and Permanent Representative to the United Nations ESCAP at the Embassy of Japan in Thailand. Prior to his time in Thailand, Fukushima-san served as Minister, Deputy Chief of Mission at the Embassy of Japan in Italy (from 2012) and Minister, Head of Chancellery at the Embassy of Japan in the Russian Federation (from 2010). 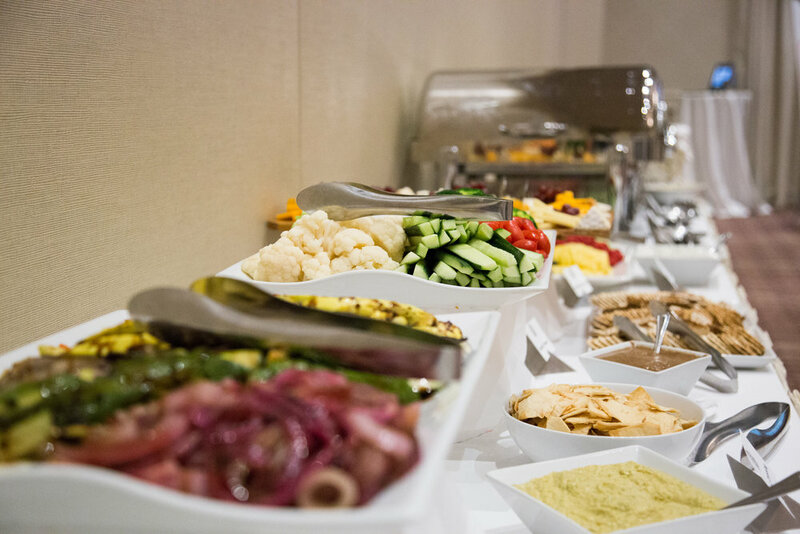 Fukushima-san also served as the Minister of Public Affairs at the Embassy of Japan in the United States (from 2008). He has also held the role of director of the Ministry of Foreign Affairs of Japan's Public Diplomacy Division (from 2007), Global Environment Division (from 2005) and Climate Change Division (from 2003). Consul-General Fukushima is a graduate of University of Tokyo, Faculty of Law (B.A.) and earned his Master's degree in International Relations at Johns Hopkins University.